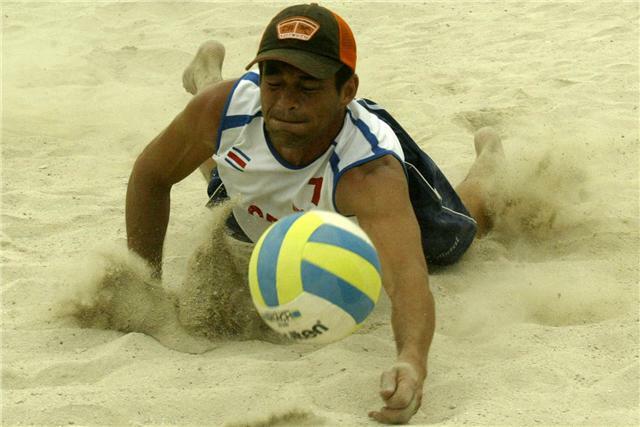 KINGSTON, Jamaica, June 28, 2009.- Mexico made a perfect comeback to the Norceca Continental Circuit by winning the men�s fourth leg of 2009 with a victory over Jamaica in the final played at Barbicon Park. 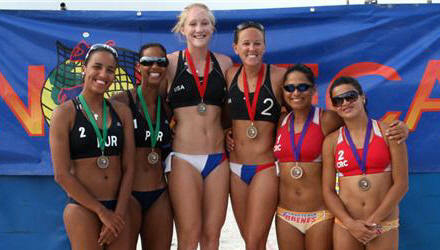 KINGSTON, Jamaica, June 28, 2009.- United States claimed its first title of the 2009 NORCECA Women�s Continental Circuit byb defeating Puerto Rico in the final match in Jamaica which concluded today at Barbicon Park of this city. 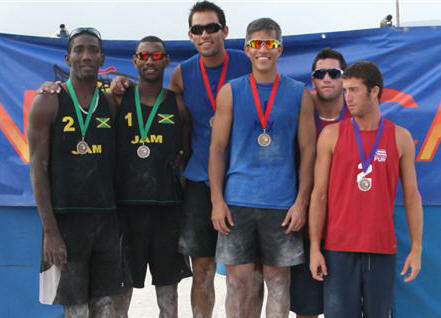 KINGSTON, Jamaica, June 27, 2009.- Taking advantage of their condition as host team, the pair of Jamaica provided the biggest surprise of the men�s bracket by advancing to the semifinal round of the fourth leg of the Third Norceca Beach Volleyball Circuit at Barbicon Park of Kingston. 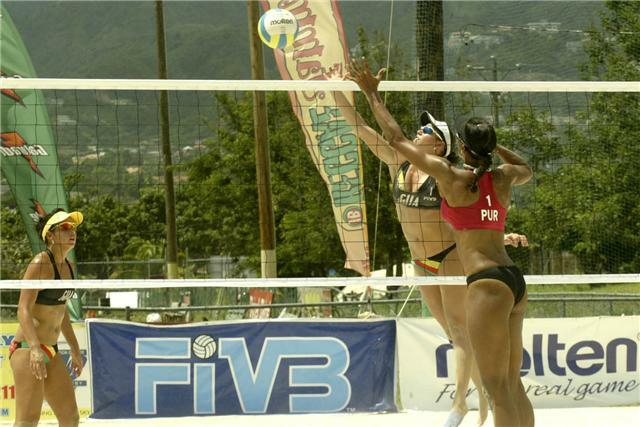 KINGSTON, Jamaica, June 27, 2009.- The United States maintained is condition as women�s top seeded and Puerto Rico offered a major surprise as both teams advanced to the semi final round of the fourth leg of the Norceca Beach Volleyball Circuit. 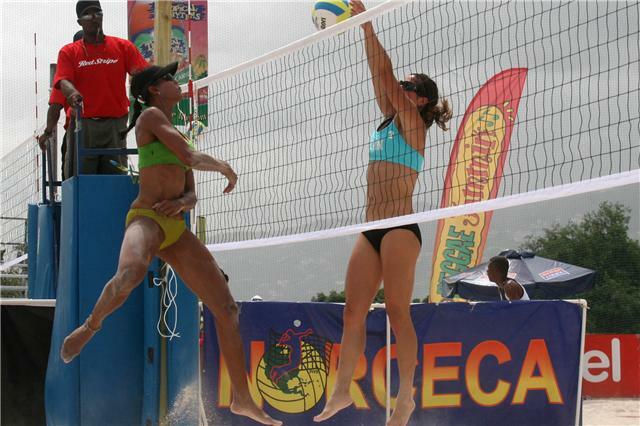 KINGSTON, Jamaica, June 26, 2009.- The first day of action in the fourth leg of the 2009 NORCECA Beach Volleyball Circuit at Barbicon Park of the Jamaican capital happened without major surprises. Eight of the nine participating teams advanced to the second round of the tournament.